Cities coast to coast host parades, families across the country plan picnics and the sky lights up wherever you go with red, white and blue fireworks. Independence Day is just around the corner so if you’re not up for yet another potato salad at grandma’s and are looking for the biggest and best fireworks display, then book a last-minute ticket to one of these places! These cities pull out all the stops when it comes to celebrating the 4th of July. Pyrotechnic shows have gotten a lot more sophisticated since the first 4th of July celebration in 1777, when the one-year anniversary of the signing of the Declaration of Independence was celebrated in Philadelphia. 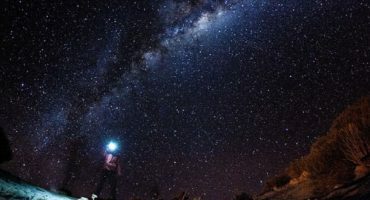 If it’s big booms, spectacular light displays and live music that you’re after, don’t miss a long-weekend trip to one of these cities. Of course you’d expect a fantastic show in our nation’s capital, and the city’s 4th of July fireworks display doesn’t disappoint! 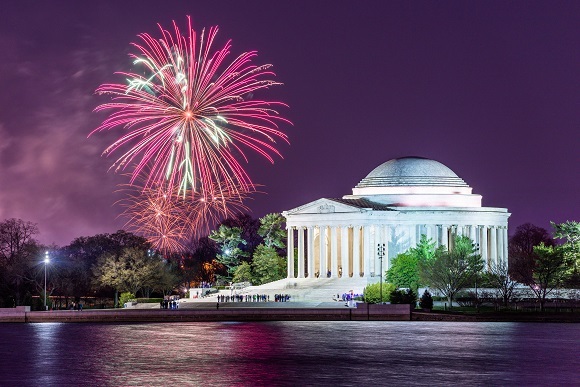 Head to the National Mall for the Fourth of July Celebrations, as one of the most famous fireworks shows in the country blasts off from the Reflecting Pool and lights up the sky above the Capitol, White House and Washington Monument for almost twenty minutes. Music City knows how to celebrate Independence Day in true style! 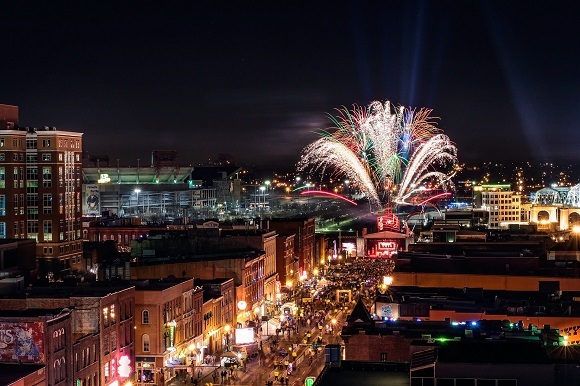 Nashville hosts one of the biggest fireworks shows in the country, accompanied by music from the award winning Nashville Symphony Orchestra. For the best place to catch all the action, head to locations such as Riverfront Park, Ascend Amphitheater or Lower Broadway. As well as the seriously impressive fireworks show, there will be musical performances from artists including Chris Young, as well as plenty of food and drink stands and family activities. Catch flights to New York this July, because there’s no place like the Big Apple for the 4th of July – and the display on the East River is not to be missed. Macy’s puts on a show to remember, presenting the country’s biggest fireworks display as well as featuring performances from artists such as Brad Paisley and Hailee Steinfield. 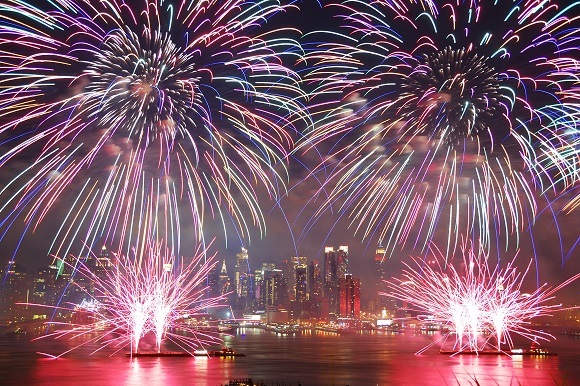 Fireworks shoot off from five barges stationed on the East River as well as off another at Brooklyn Bridge so whether you’re in Manhattan, Queens or Brooklyn, you can see the 25 minute extravaganza in all its glory. Previously the festivities were held along the Mississippi River at the Gateway Arch but have now moved to the 1,371-acre Forest Park where the World Fair was hosted in 1904. 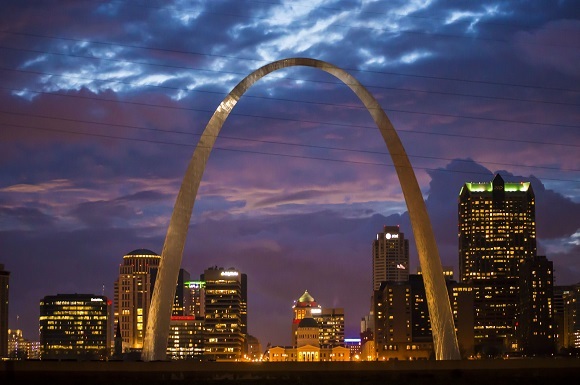 The celebrations last for three nights (July 2 – 4), and as well as fireworks, there are evening concerts and daytime exhibitions at Fair Saint Louis, which bills itself as ‘America’s Biggest Birthday Party’! 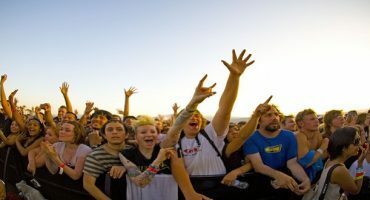 This year, performances will come from AKON, Jake Owen and 3 Doors Down to name a few. This historic city is known for their fireworks display because it’s accompanied live by the world-famous Boston Pops Orchestra, which always ends with Tchaikovsky’s iconic 1812 Overture. It even features the sounds of live cannons firing! Fireworks blast off from seven barges along the Charles River. 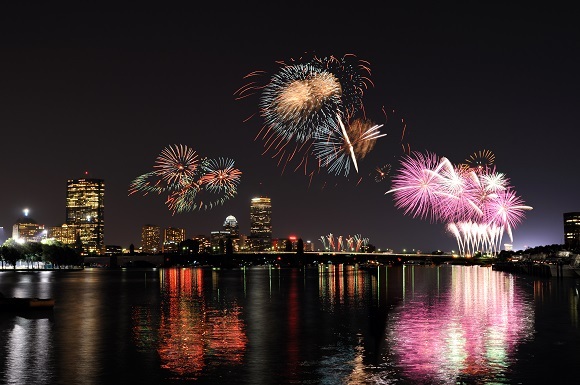 Watch the show from the DCR Hatch Shell; from Harvard; or along the Longfellow Bridges. This Dallas suburb is usually only 15,500 residents strong but when July 4th comes around, the town swells to a staggering 500,000 people celebrating Independence Day. Its 25-minute show takes place on July 3, and is not to be missed as 3,500 pounds of fireworks shoot up into the sky. The airshow at the Cavanaugh Flight Museum is also worth catching earlier in the day. Book flights to Dallas to celebrate Independence Day in Addison. A unique natural setting combined with a stunning fireworks show makes Lake Tahoe’s 4th July celebrations some of the most impressive in the country. The fireworks display is held over the Lake itself, and with the gorgeous Sierra Nevada mountains in the background, it’s an unforgettable setting for a spectacular show. 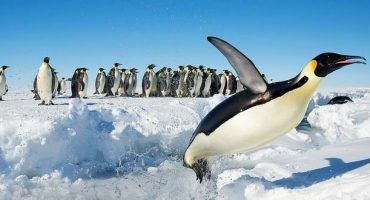 125,000 people a year seem to agree, flocking to the area to check out the 25-minute long display. 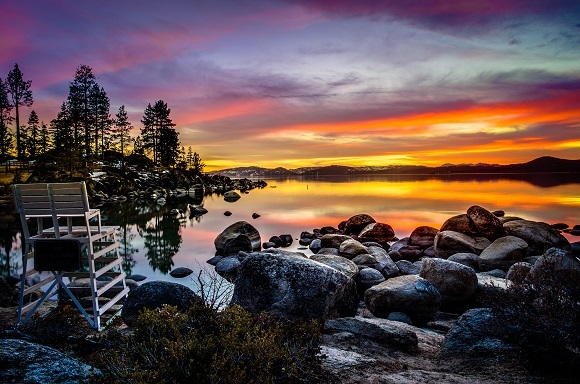 For the best view, catch the show from the south of the lake: El Dorado Beach, Nevada Beach and Timber Cove Marina are great spots to set up camp. For a truly unforgettable experience, why not see the display from the top of Mount Tallac?